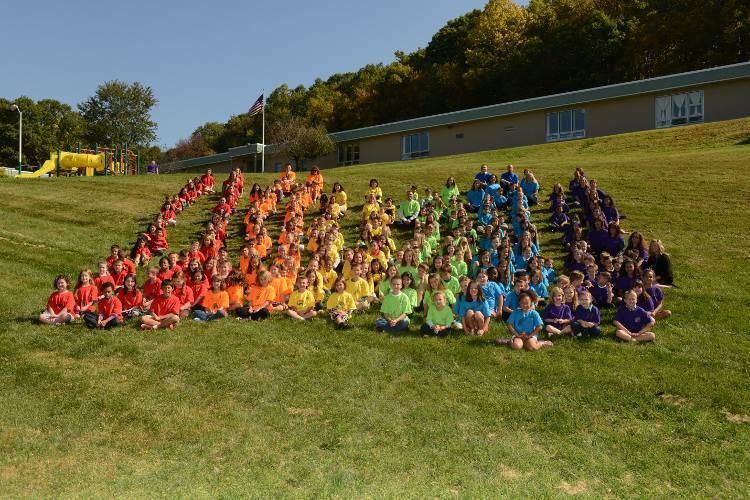 Students assembled in the rainbow pillars wearing their Character Counts T-Shirts, sponsored by Hopatcong Education Association. Character Counts at Tulsa Trail School. This year at Tulsa Trail, we will be “Connecting with Character,” using the Character Counts Program for Character Education. The school kicked off the new theme with a ribbon cutting ceremony on October 7, 2013 to dedicate the main hallway as Respect Avenue. This event coincided with the Week of Respect, which was celebrated across New Jersey. All Tulsa Trail students and staff participated in the dedication ceremony. 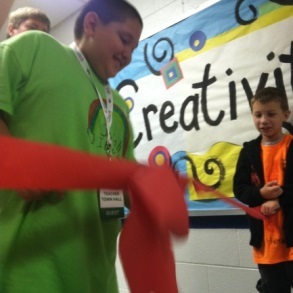 Salah Ibrahim was honored to cut the ribbon for the event, modeling a person who shows respect to others. Ollerenshaw, for the dedication ceremony.